More than two-thirds of Generation Z consumers are uninterested in popular trends and only one in 10 would consider themselves a "trendsetter", according to an IPA report. Gen Z: Exile on Mainstream?, which was commissioned by the IPA's Insight service and conducted by YouthSight, also unearthed a high level of disinterest with owning the latest brands and getting "likes" on social media. At the heart of the research, based on a sample of 1,000 consumers aged 16 to 23, was a MaxDiff analysis that allowed researchers to attribute scores to cultural drivers to reveal their relative importance. Respondents were asked whether or not mainstream cultures and trends mattered to them and what they wanted from the world, with answers suggesting ways that brands might engage with them. High-scoring findings included that Gen Z prioritises time spent with friends and family, with a rating of 171, while their mental well-being scored 168, followed by "having a job they enjoy" at 149. At the lower-scoring end of the scale, the study found a degree of disdain for social media and some elements of consumerism. Gaining a "high number of likes" on social media scored a paltry rating of eight, owning the "latest brands and products" scored just 10, while "being up to date with the latest trends" scored 15. The abundance of choice when it comes to brands and products appears to overwhelm Gen Z, with 60% feeling that too much on offer makes it harder to choose. Consequently, this could be a win for brands that can tailor products to individual needs, with 69% of respondents having a preference for bespoke products. 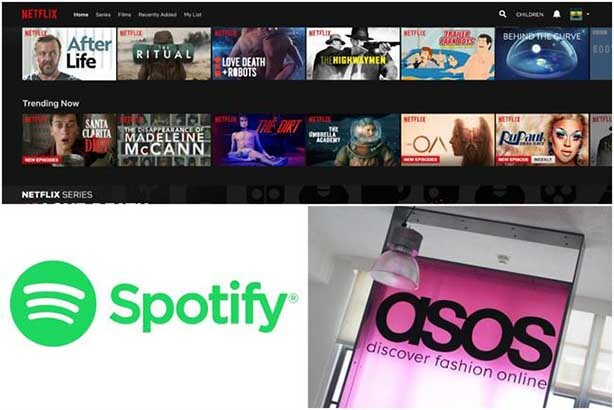 This is good news for brands such as Netflix, Spotify, Asos and Monzo, the report said. Brands that presume a high level of homogeneity among Gen Z consumers might want to pay heed to the finding that just 4% like to "follow the crowd" and that most do not define themselves in terms of a single personality and instead identify with an array of identities, such as foodie, feminist and bookworm. Given today's economic and political upheaval, "saving for the future" scored an understandably high 130 and securing a job for life scored 104. A third (34%) said they like to plan ahead rather than live for the moment. Sharing a character trait that has come to largely define millennials, Gen Z consumers are not hedonistic and are more likely to care about family (which scored 38) than partying with friends (32). Meanwhile, Gen Z are principled and ethically motivated, with 64% claiming to be activists in some way and "standing up for what you believe in" scoring a high 115 rating. The top five issues of concern among this group are climate change (38%), mental health (29%), the gulf between the poor and the wealthy (19%), Brexit (19%) and the NHS (17%). Helen Rose, head of insight and analytics at the7stars and a contributor to the report, said: "With a view to 2020, Gen Z will have increasing influence on the way brands communicate and engage them as consumers. Three factors for brands to consider are: how to align with their core values, how to be an enabler for the stuff they care about and how to provide them with recognition for their contribution." Damian Lord, the IPA's head of insight, added: "As the research reveals, they are complex, nuanced and at times contradictory. If we are to engage them, we must fully understand them and approach them based on their values. We hope this report facilitates this." The IPA is hosting a breakfast on 10 May, during which the findings will be discussed in a panel session.